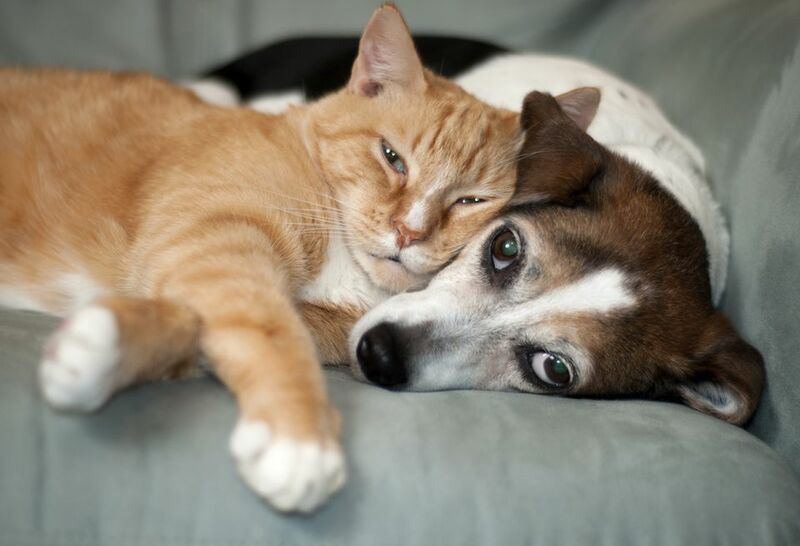 Seizures in dogs and cats can be caused by many different illnesses. As a result, if your dog or cat has a seizure, your veterinarian will need to perform some diagnostic tests before a proper course of treatment can be determined. If your dog or cat has more than one seizure, your veterinarian may call his illness epilepsy. Some veterinarians prefer to restrict the use of the term epilepsy to specific diseases that cause seizures and others use the term to refer to any illness that results in recurrent seizures. Regardless of the terminology, the process of diagnosing epilepsy involves the same testing procedures as those used to diagnose seizures. One of the very first things your veterinarian will do is to perform a thorough physical examination for your pet, looking for obvious abnormalities. Your dog or cat's history needs to be taken into account also. Some diseases tend to occur in a certain age group or even in a specific breed of dog or cat. Knowing your pet's age, breed and physical history can help your veterinarian determine which diseases are most likely to be causing your dog or cat's seizures and help determine which diagnostic tests are most important to perform. The first group of tests your veterinarian will want to want to perform for your dog or cat is a complete blood cell count, a blood chemistry profile (including electrolyte levels) and a urinalysis. A complete blood cell count looks at both the red blood cells and the white blood cells in the blood. This test can indicate whether your pet is anemic. It can also help determine, in conjunction with other tests, whether your dog or cat is dehydrated. Changes in white blood cell counts can indicate infection or other pathological diseases that affect the bone marrow, such as certain forms of cancer. A blood chemistry profile includes tests for kidney function such as the blood urea nitrogen (BUN) and creatinine. It also looks at your dog or cat's liver enzymes and bilirubin levels, which can help determine the state of the liver. Protein levels in the blood are measured. Electrolytes such as calcium, potassium, sodium, and phosphorus should also be measured. A urinalysis is an analysis of the urine that helps determine whether your pet's kidneys are able to concentrate the urine effectively. This test also looks for evidence of abnormal substances in the urine, such as blood, protein, bilirubin, crystals, and others. In some cases, another blood testing may be warranted as well. If your veterinarian suspects a liver disease in your dog or cat, a bile acid test may be recommended. Often, the bile acids are measured before your dog or cat is fed and then again shortly after eating a meal. This can help detect diseases that affect both the liver and brain, such as a portosystemic shunt ("liver shunt"). Thyroid testing may be required, especially in dogs where hypothyroidism can contribute to seizure activity. Testing for specific infectious diseases may be recommended to rule these out as causes of the seizures. This may include testing for diseases such as feline leukemia (FELV in cats), FIV (in cats), toxoplasmosis (in both dogs and cats), canine distemper virus (in dogs) and others. Your veterinarian will help decide which diseases are most likely and which need to be investigated as a cause of your dog or cat's seizures. If the initial blood and urine testing do not indicate the cause of the seizures in your dog or cat, your veterinarian may recommend a cerebrospinal tap. This allows the collection of fluid that surrounds and protects the brain and spinal cord. This may help establish a diagnosis such as meningitis (inflammation of the membrane that surrounds the brain and spinal cord) or encephalitis (inflammation of the brain) as well as other diseases that may contribute to causing seizures and/or epilepsy in dogs and cats. Tests such as magnetic resonance imaging (MRI) or computerized axial tomography (CAT or CT scan) are specialized tests that can examine the structure of the brain itself. These tests may be recommended for some dogs and cats suffering from seizures and/or epilepsy but their availability is limited to specialized facilities. An electroencephalogram, or EEG, measures the electrical activity of your dog or cat's brain. It is sometimes used to help diagnose the cause of seizures in dogs and cats. However, it used less often now than previously because of the availability of more accurate testing such as MRI and CT scans.